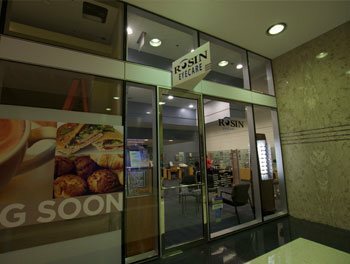 Located in the heart of Chicago, Rosin Eyecare’s Board of Trade location provides an array of eye care services. Since 1930, Rosin Eyecare has been proud to offer quality, friendly eye care service from skilled and licensed professionals. Our office in the Loop is located on the first floor of the Chicago Board of Trade Building at 141 W. Jackson, close to both street parking and convenient parking garages. Whether you need an annual exam, you’re considering contact lenses, or have any other vision concerns, Rosin Eyecare offers comprehensive eye care services you can count on. The eye care experts at our location in the Loop are available to assist you with a wide variety of eye care services, including exams for eyeglasses and fittings for contact lenses. 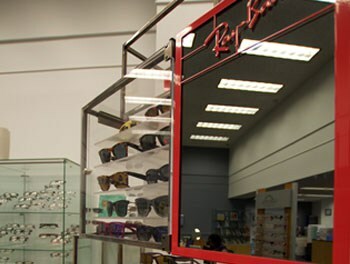 This location also offers a wide selection of frames for men, women, and children, as well as frames for sports, reading, and safety glasses. To find out more about this location or to schedule an eye exam, call us at (312) 427-9555. They say Harry Carey got his glasses at Rosin, but don’t let that deter you.My Optometrists (Dr. O’Neill) is top – took his time to ensure a a thorough exam, answer all my question and concerns.The Optician (Samantha) was super friendly and helpful in helping me to choose frames that looked great and in my price range.i had to wait a little longer than expected to receive my glasses because they arrived less than perfect and she sent them back to be redone – awesome service, quality and value! i love my glasses! This place is very centrally located in the loop, so for anyone out there looking for an eye doctor in this area, I think it is a great spot. They do full exams here, can order any kind of glasses you may want, and everyone who works here seems genuinely pretty darn happy. I don’t like going to the eye doctor much, but they make it as easy as it can be, and for those of you who don’t have the best insurance they do what they can here for you in trying to get you rebates and discounts and such which I truly appreciate. I’ve been going here for a year and I can’t say I have any real complaints at all. They also have other locations throughout Chicago so if you ever need something sent to another location they can do that too.